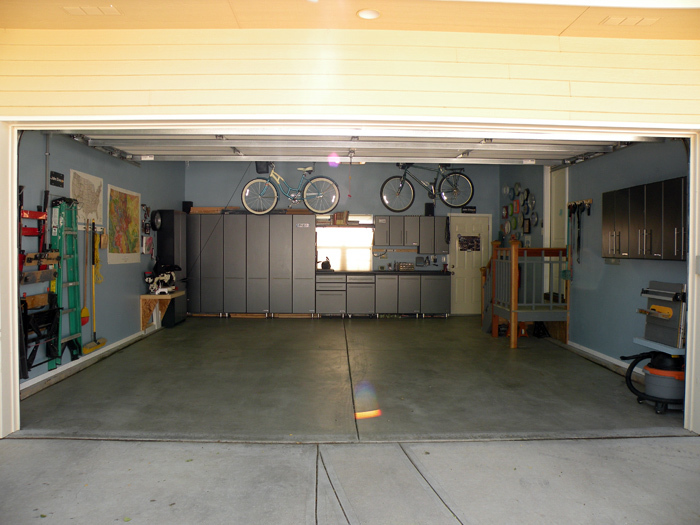 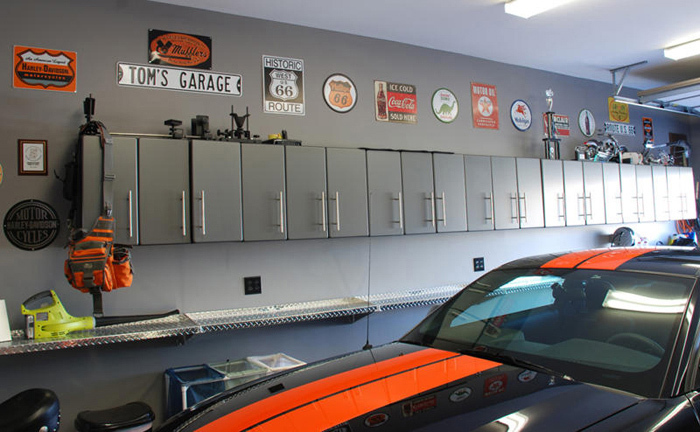 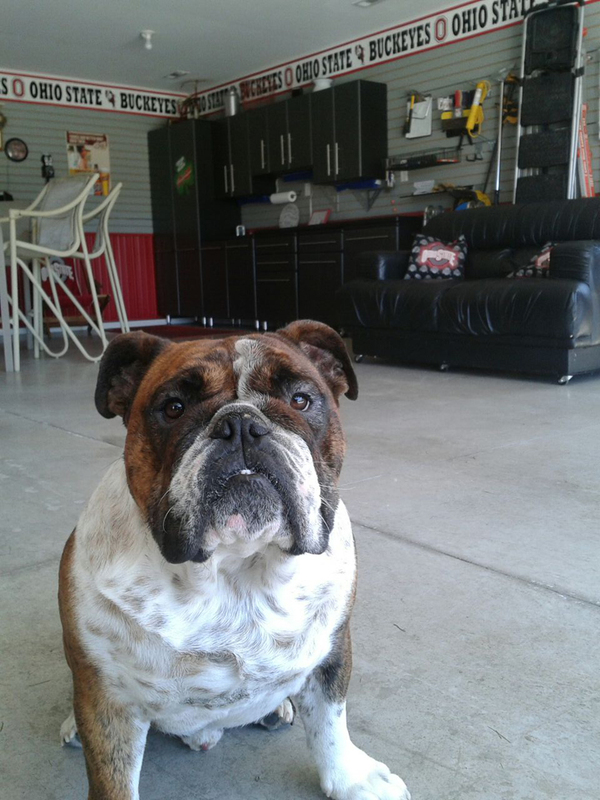 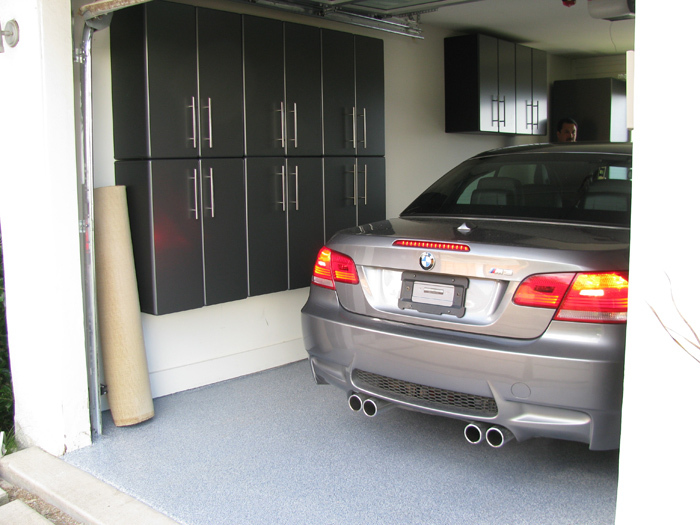 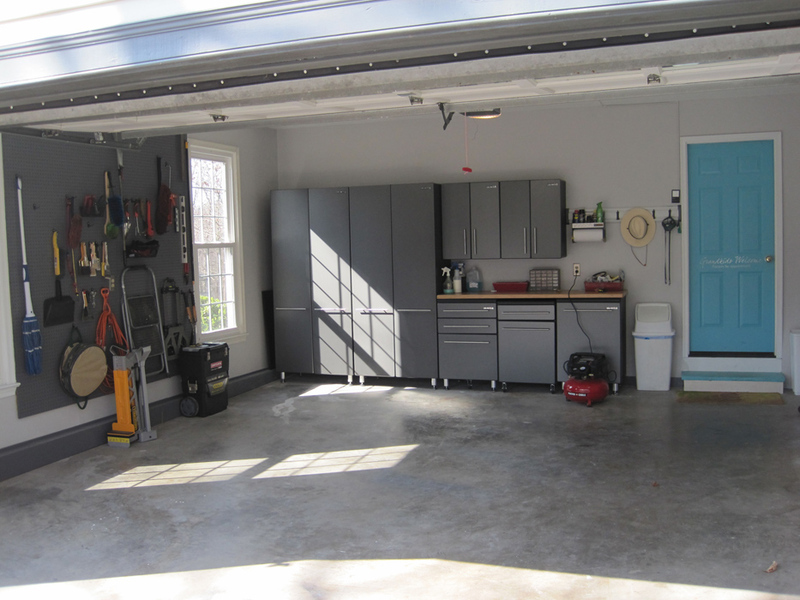 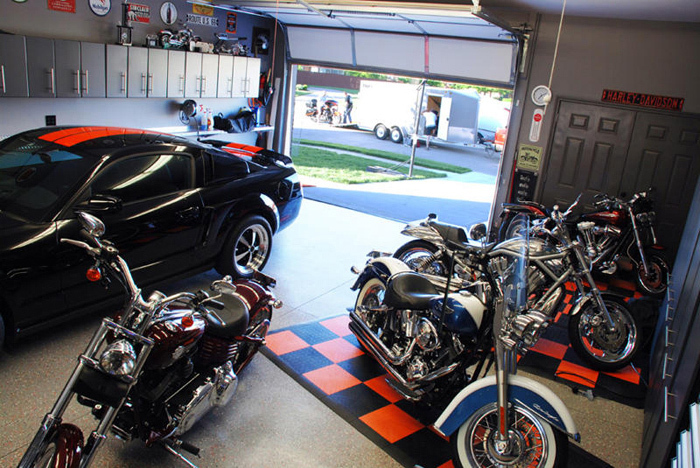 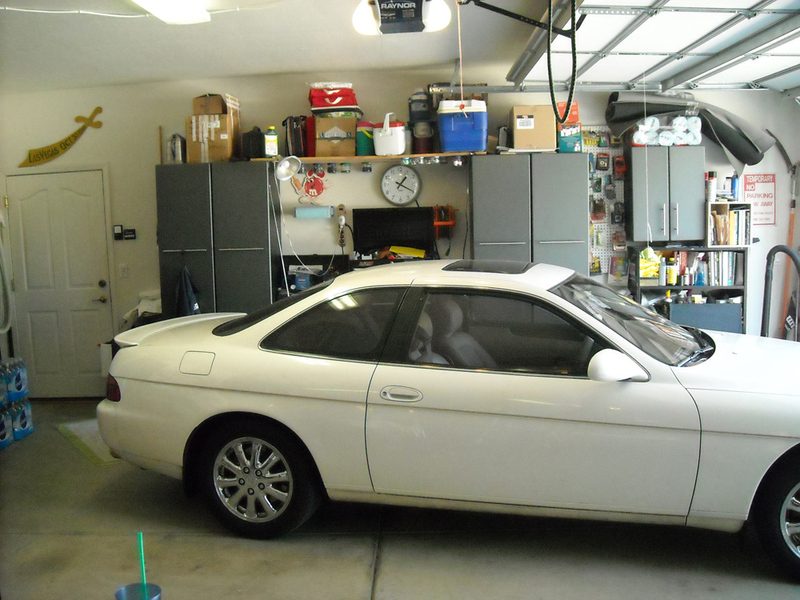 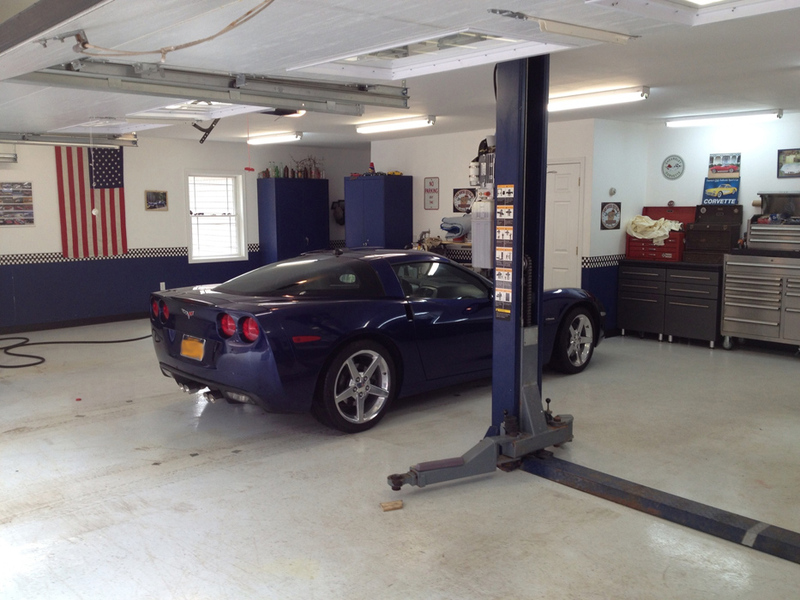 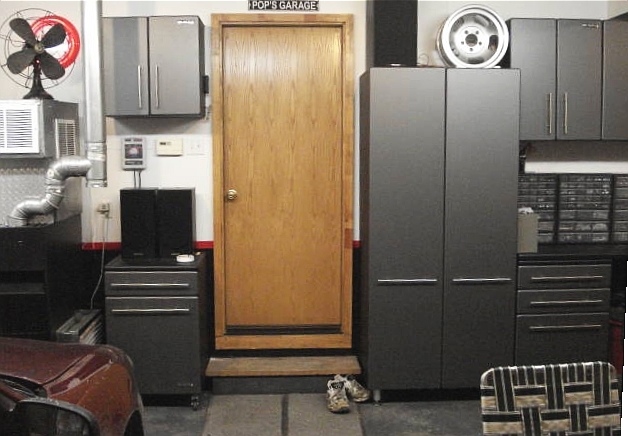 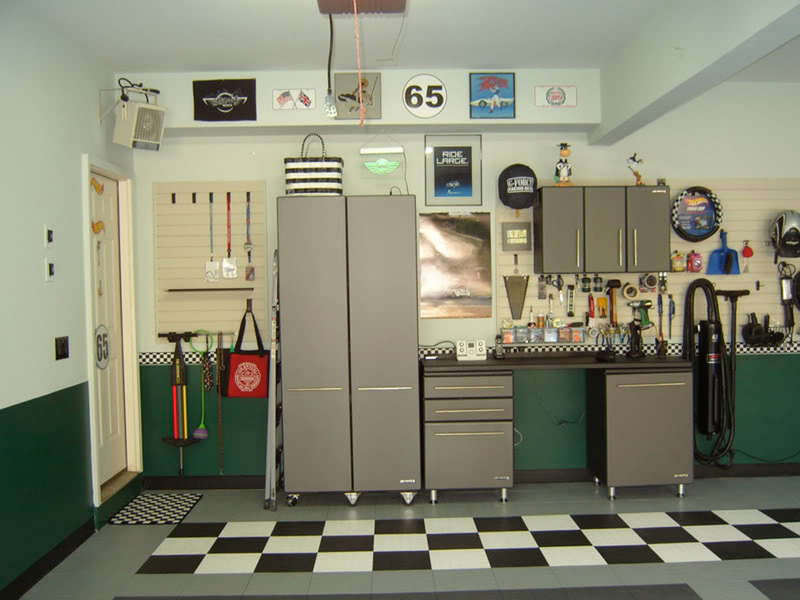 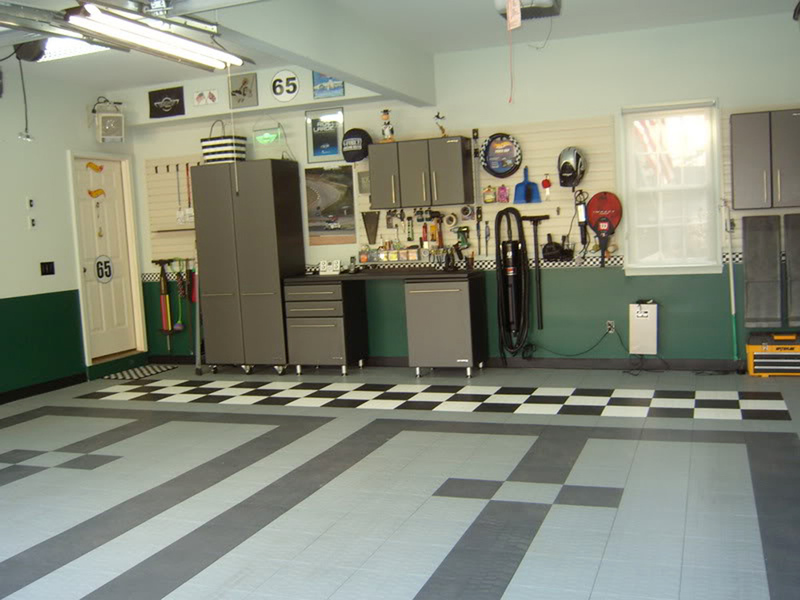 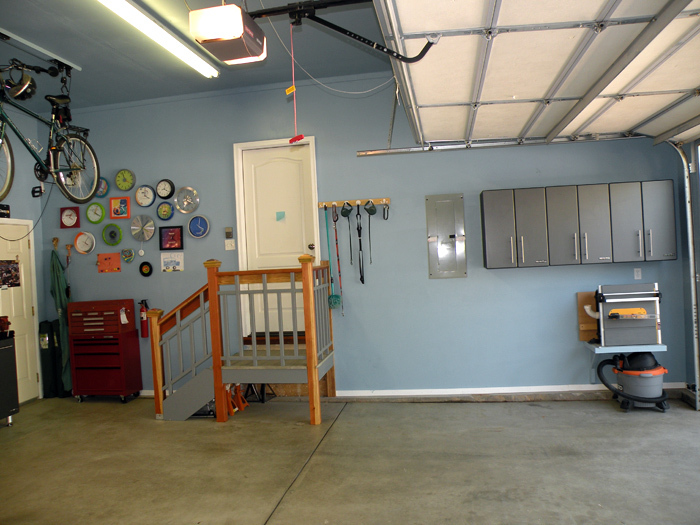 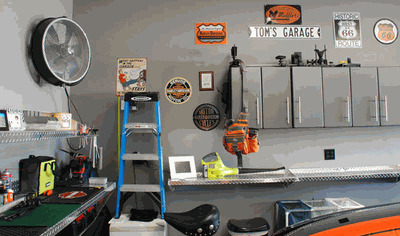 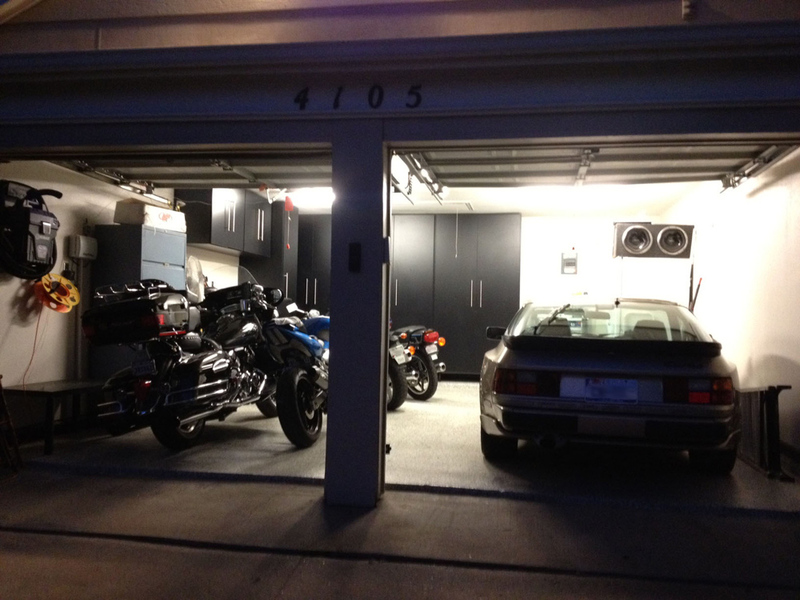 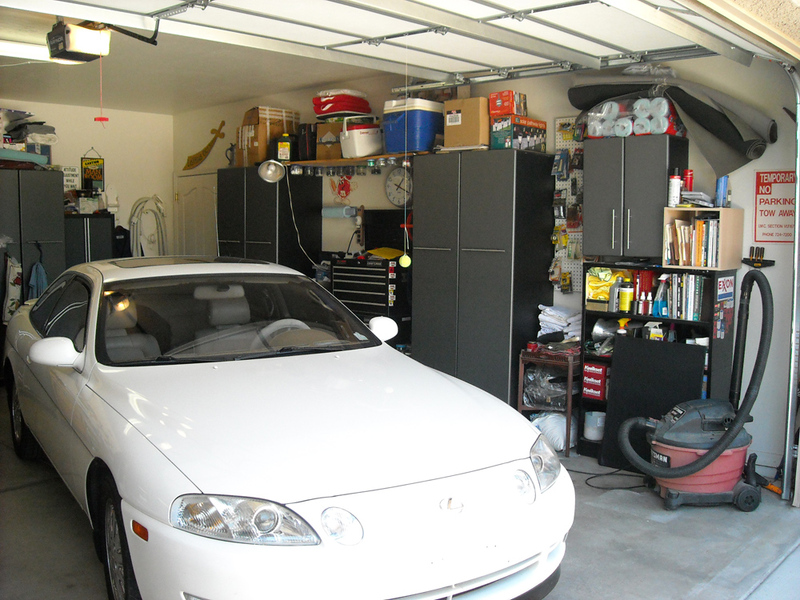 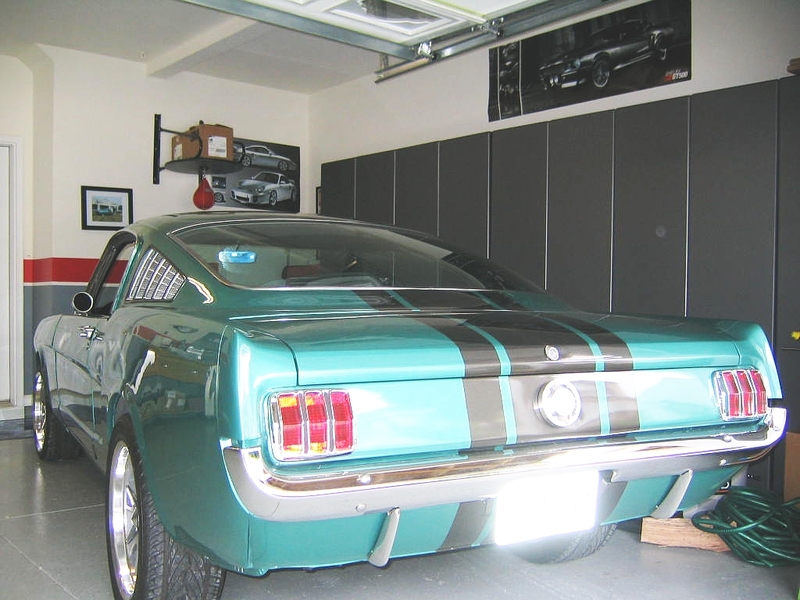 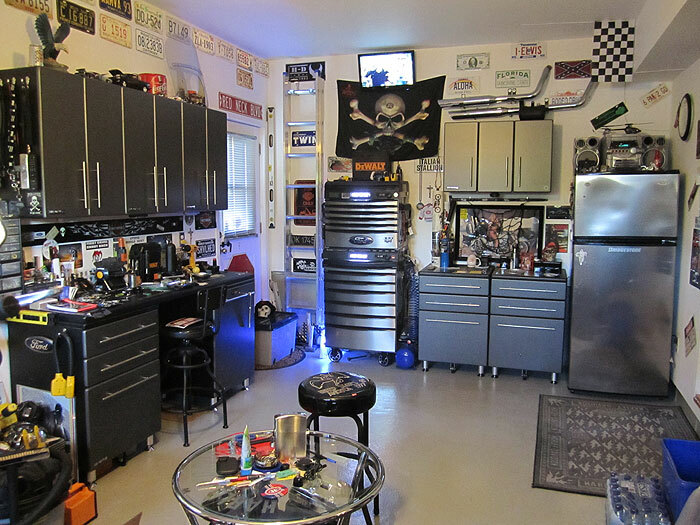 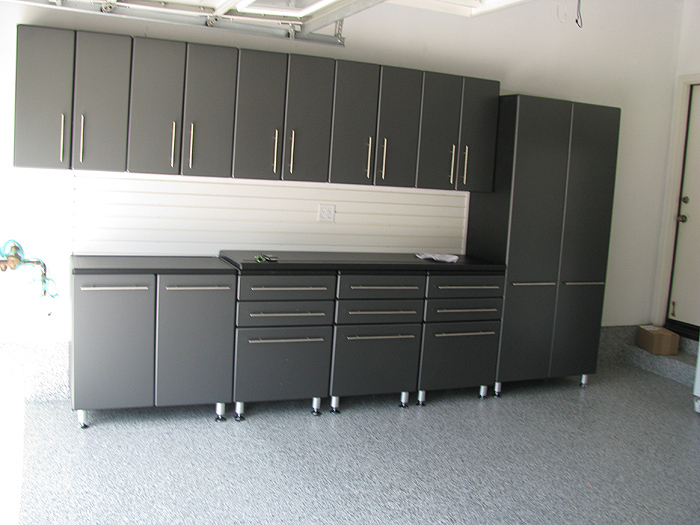 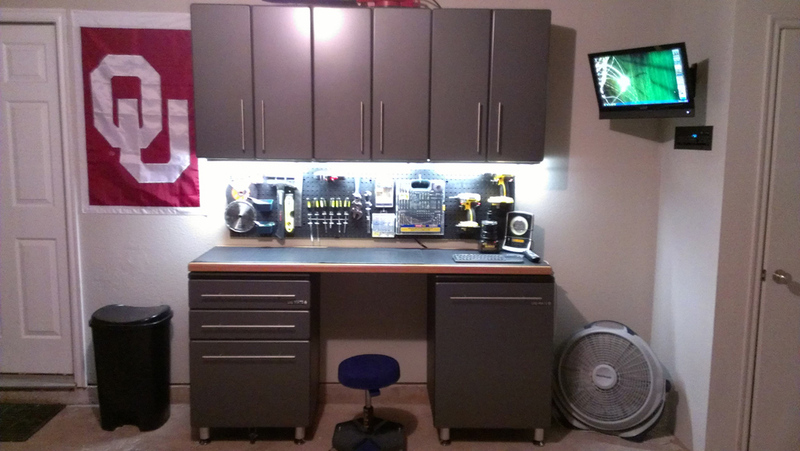 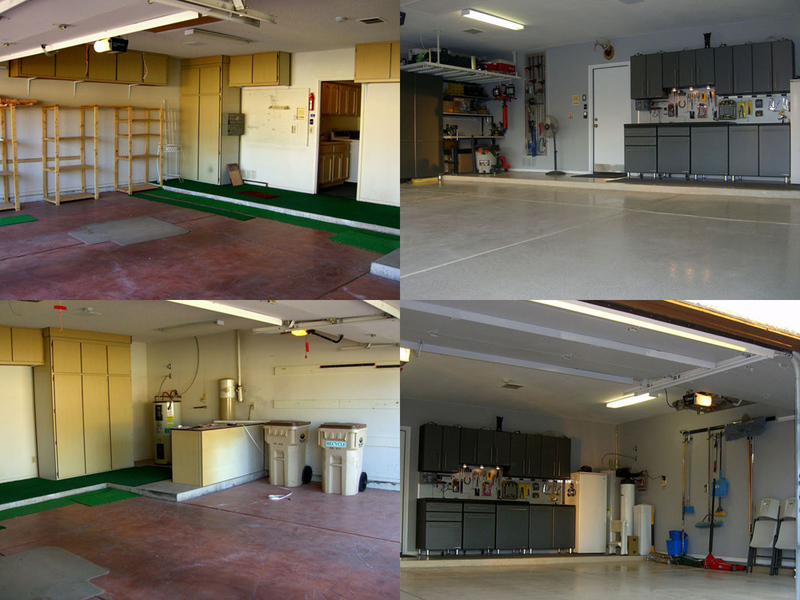 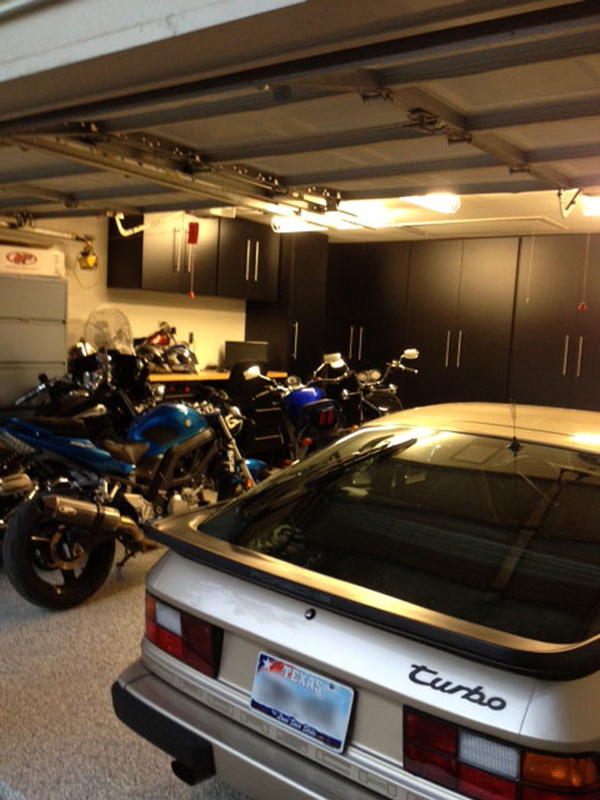 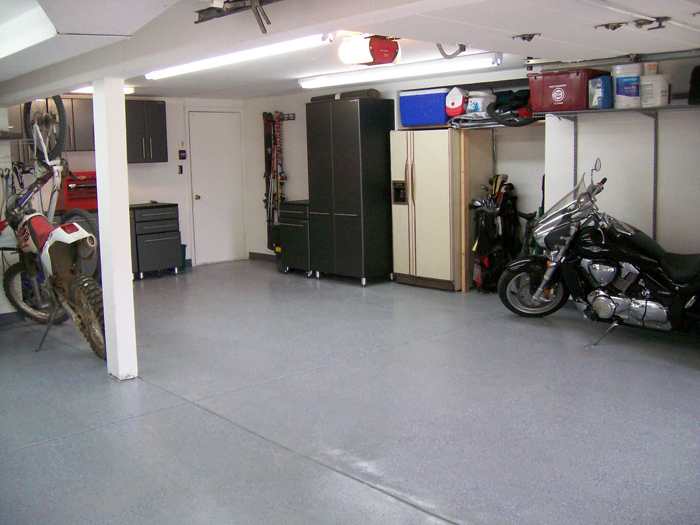 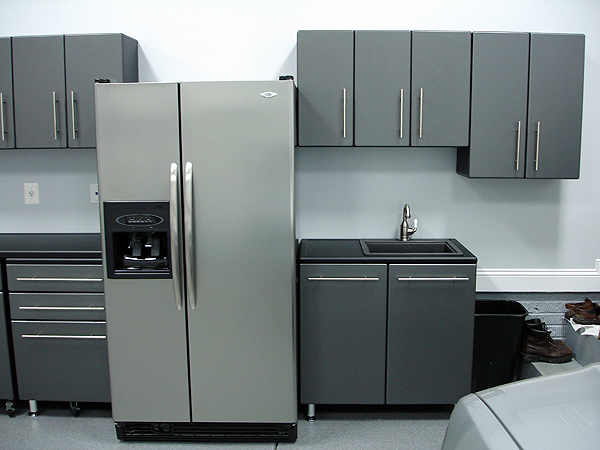 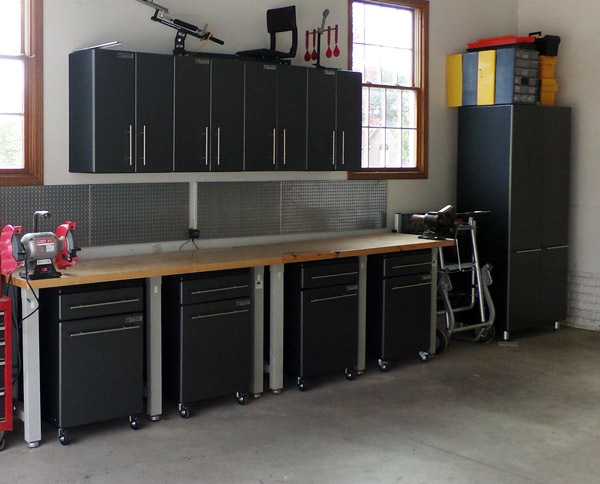 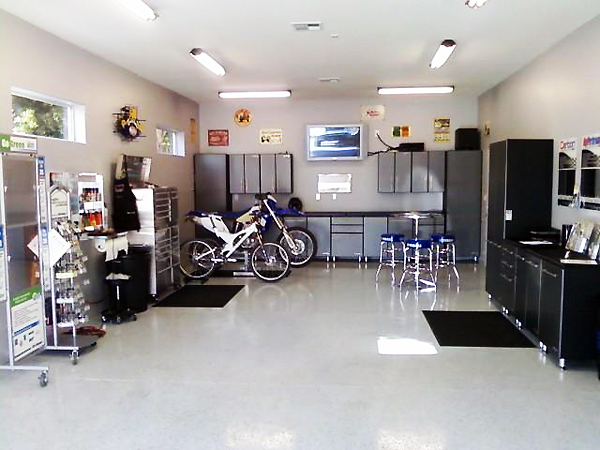 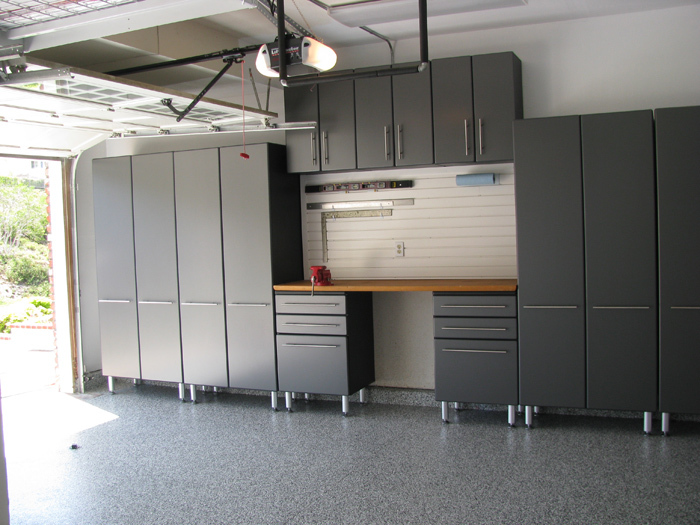 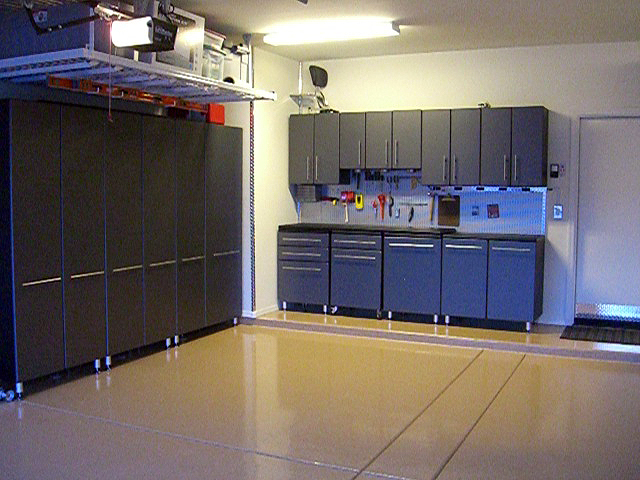 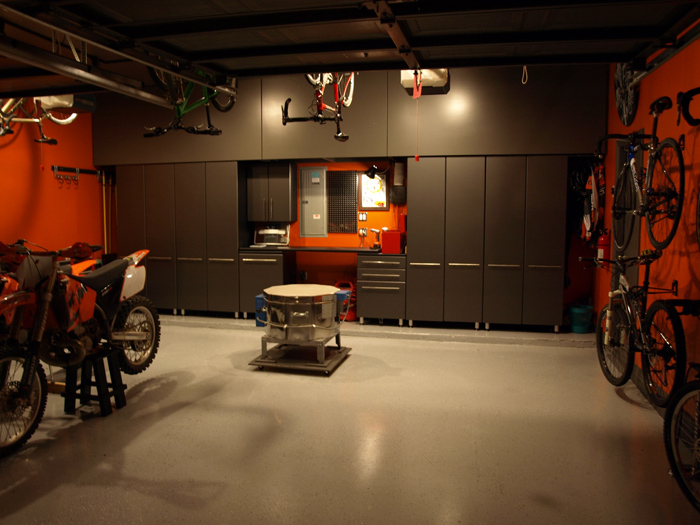 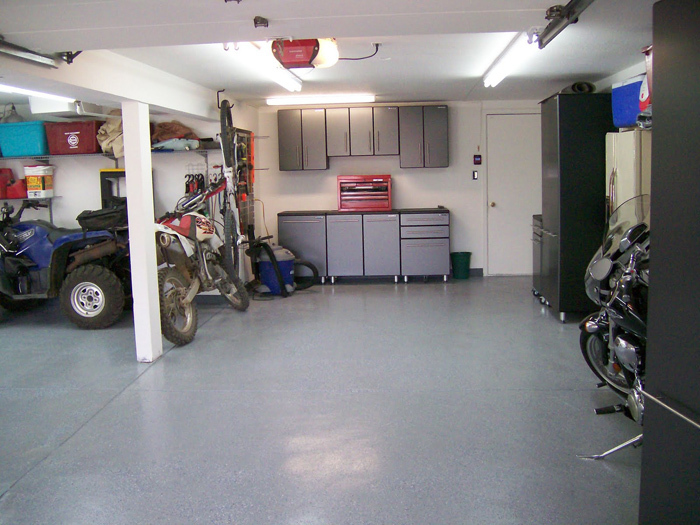 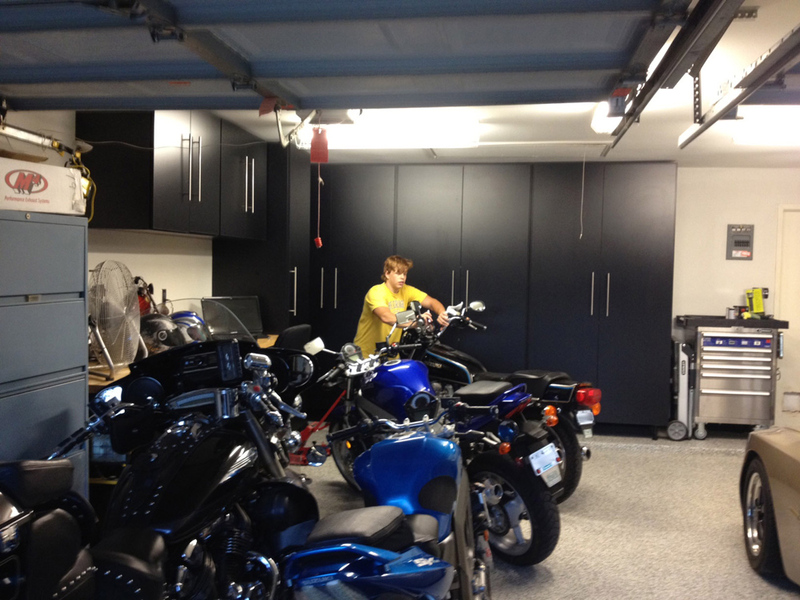 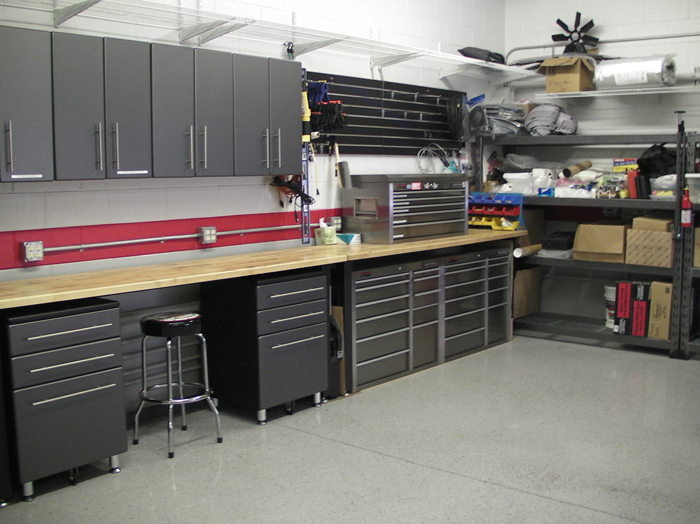 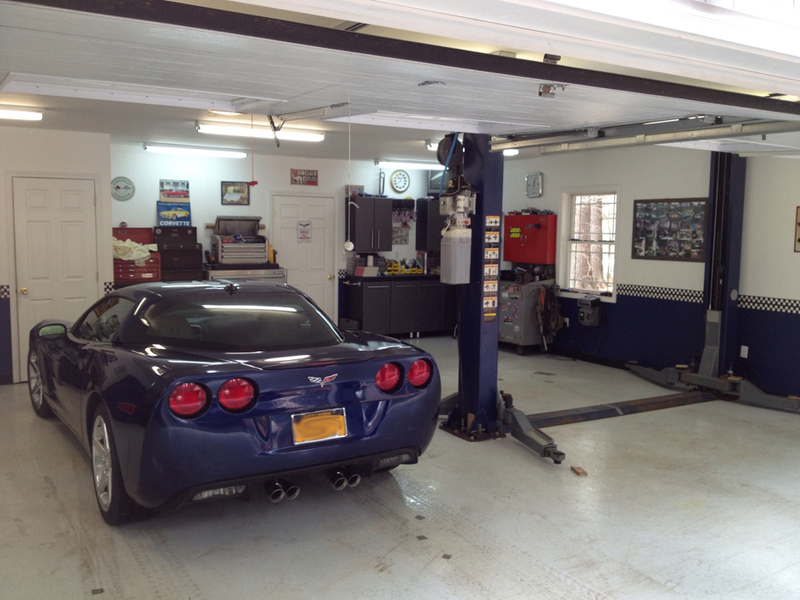 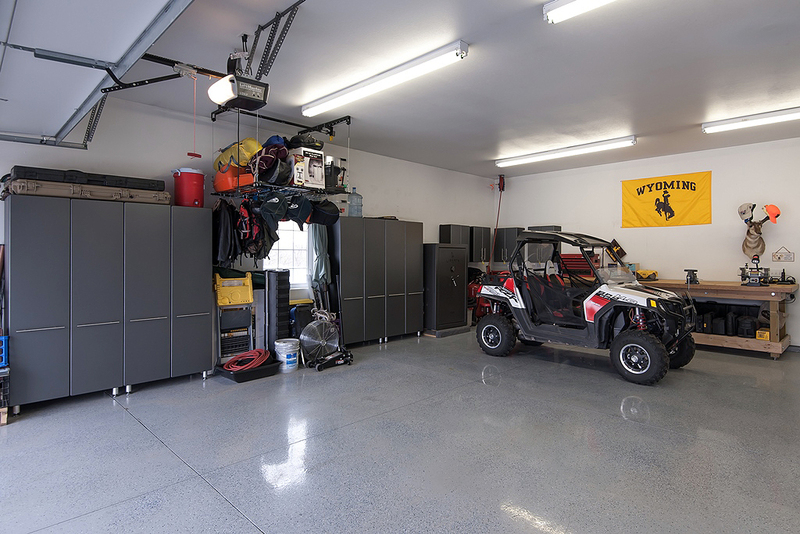 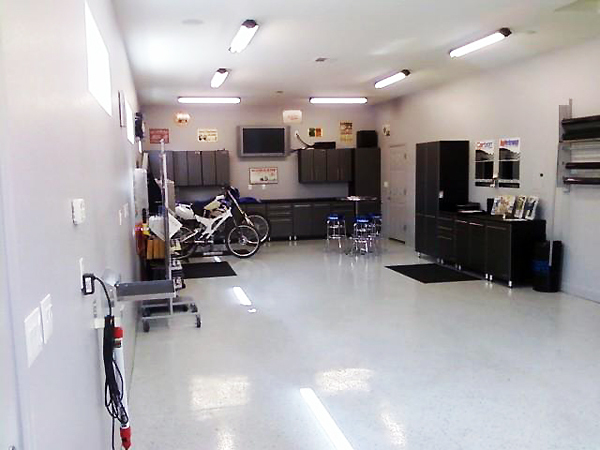 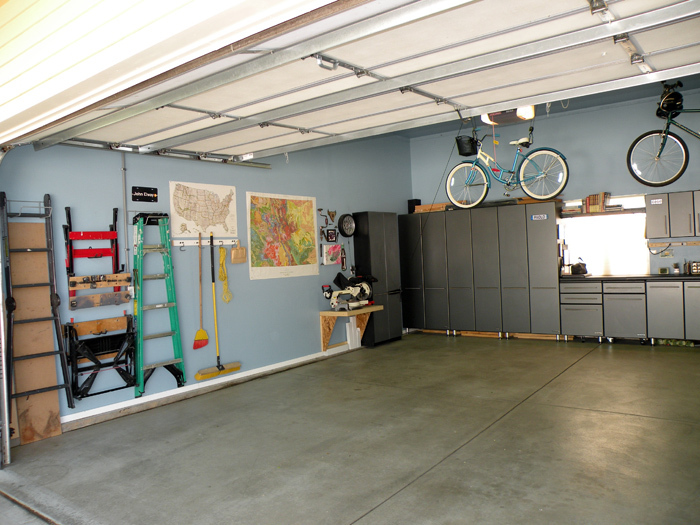 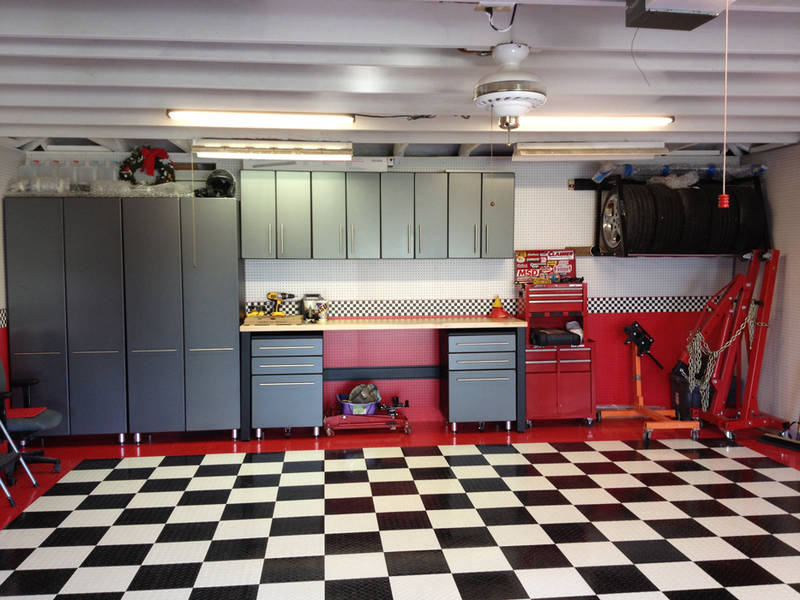 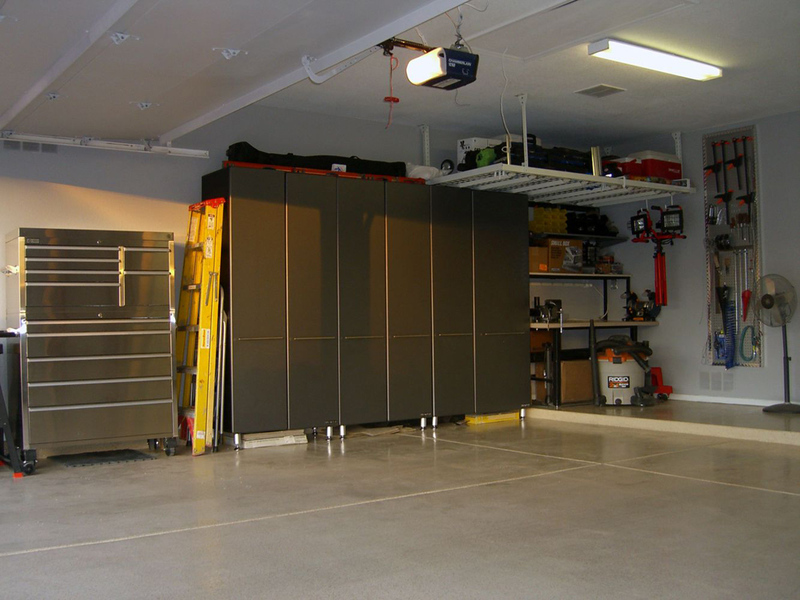 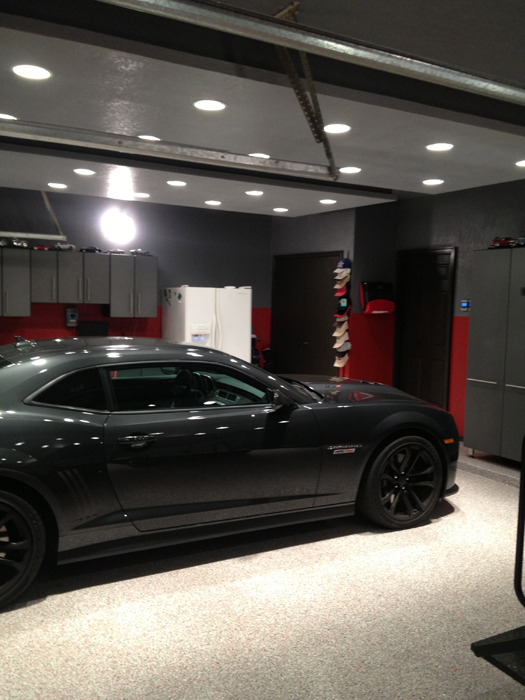 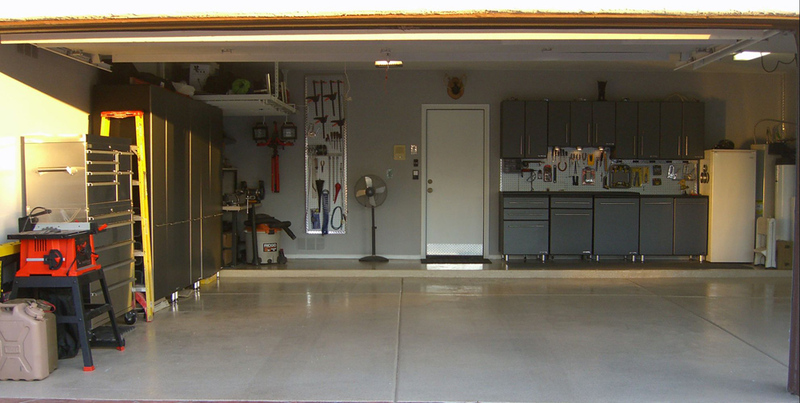 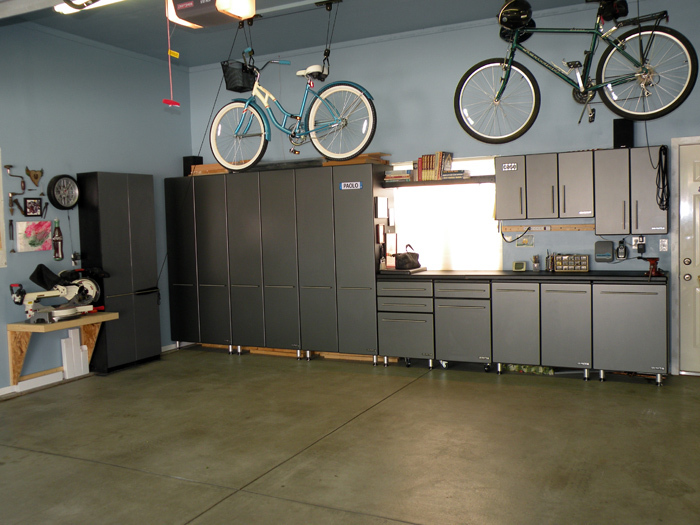 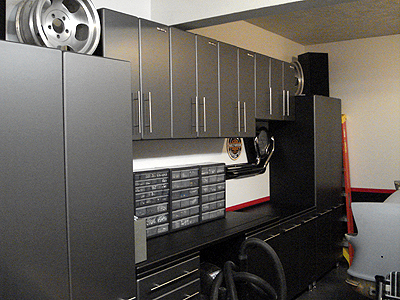 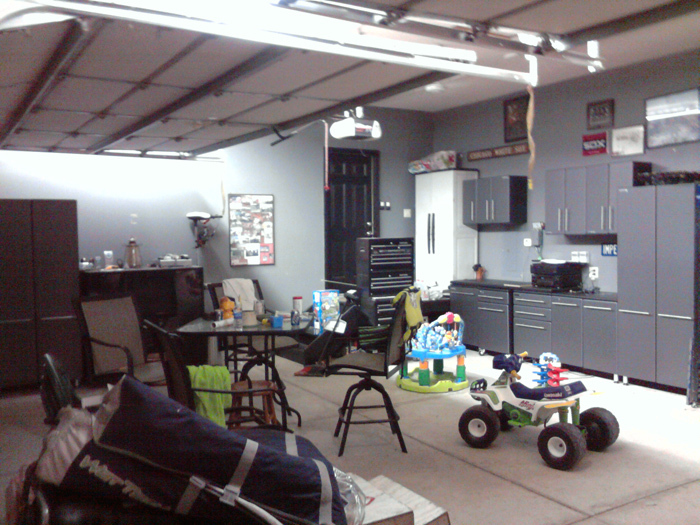 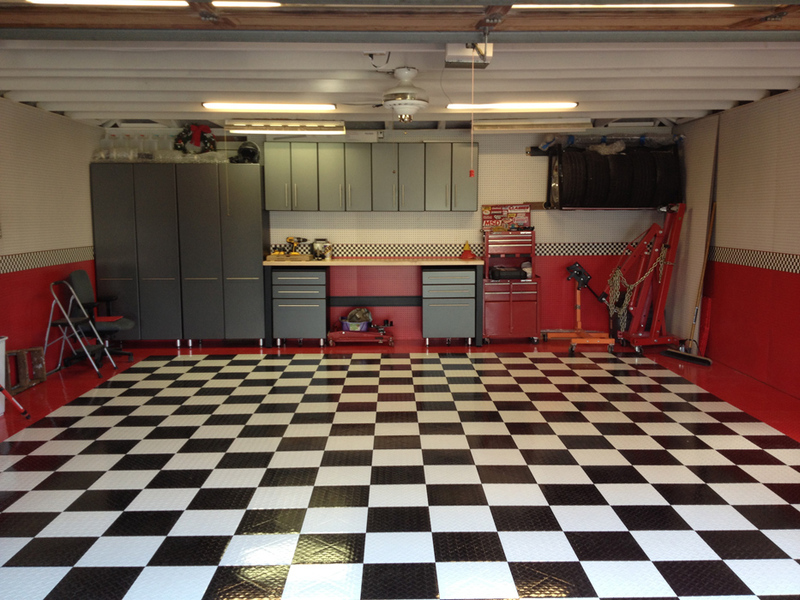 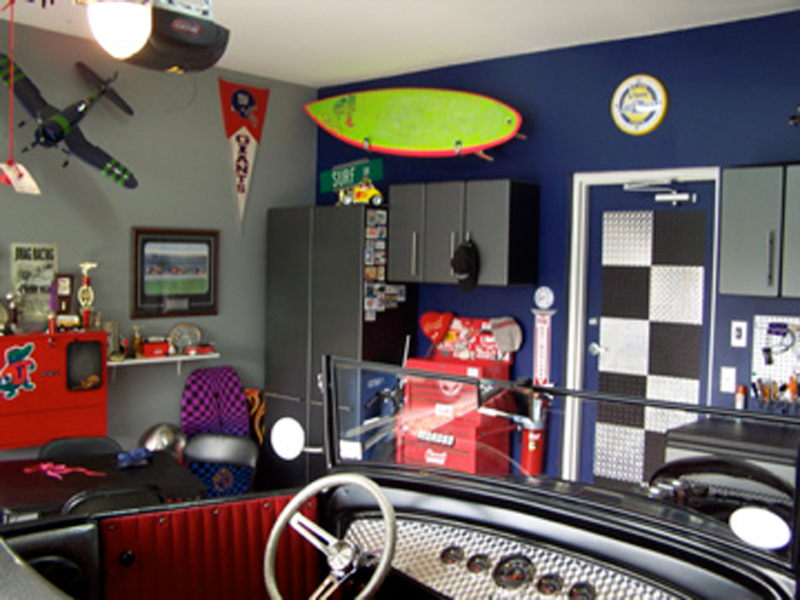 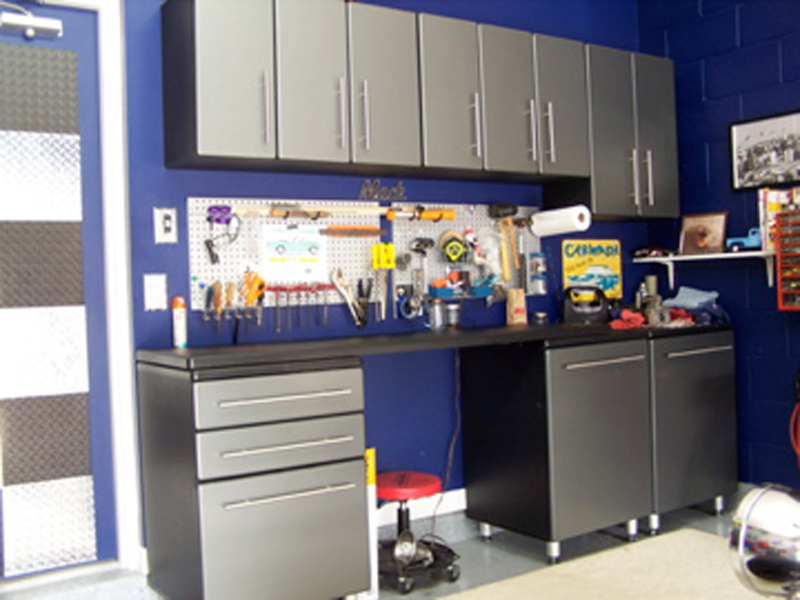 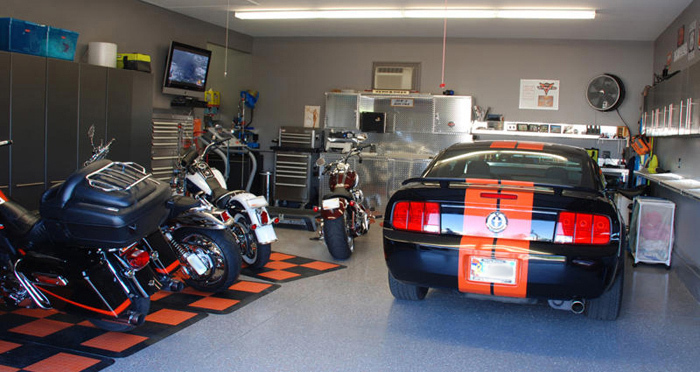 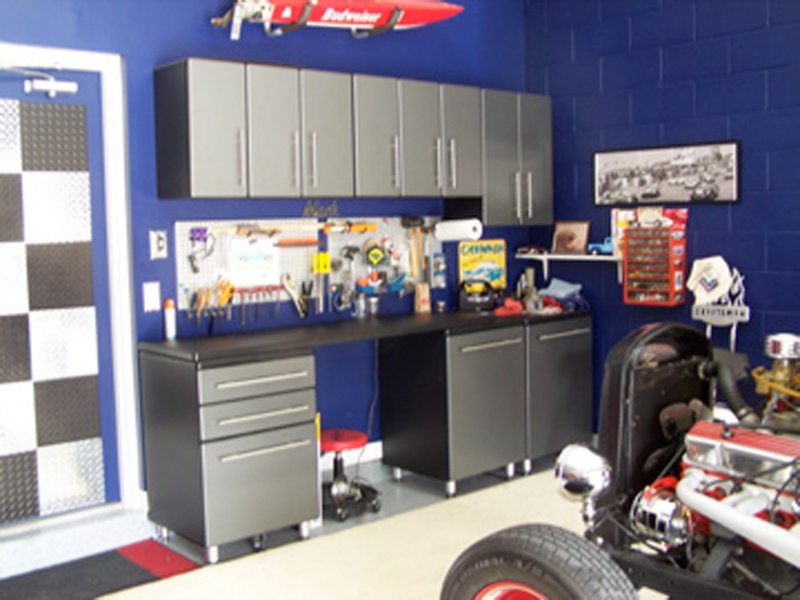 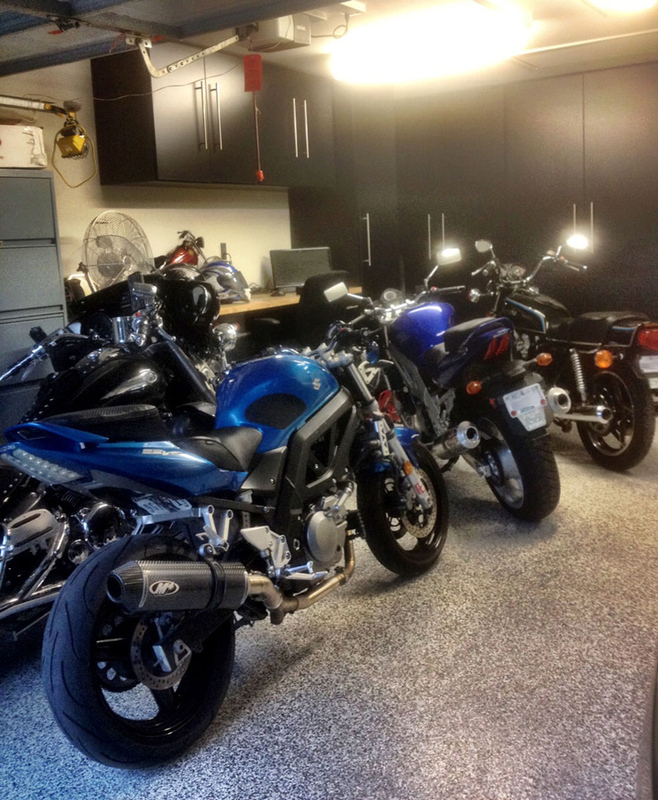 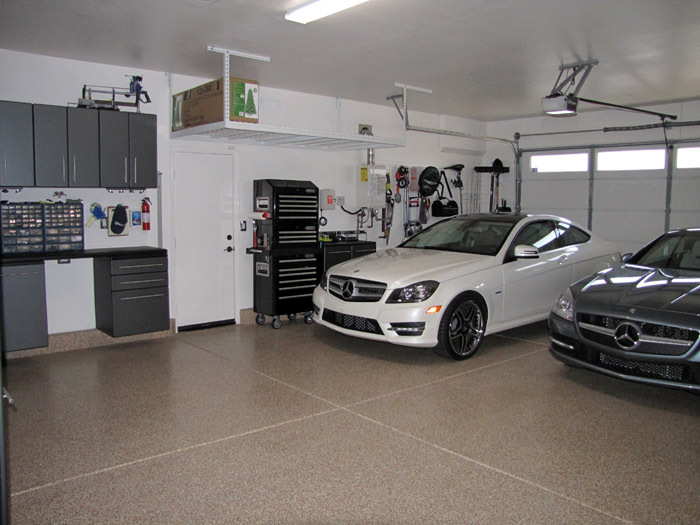 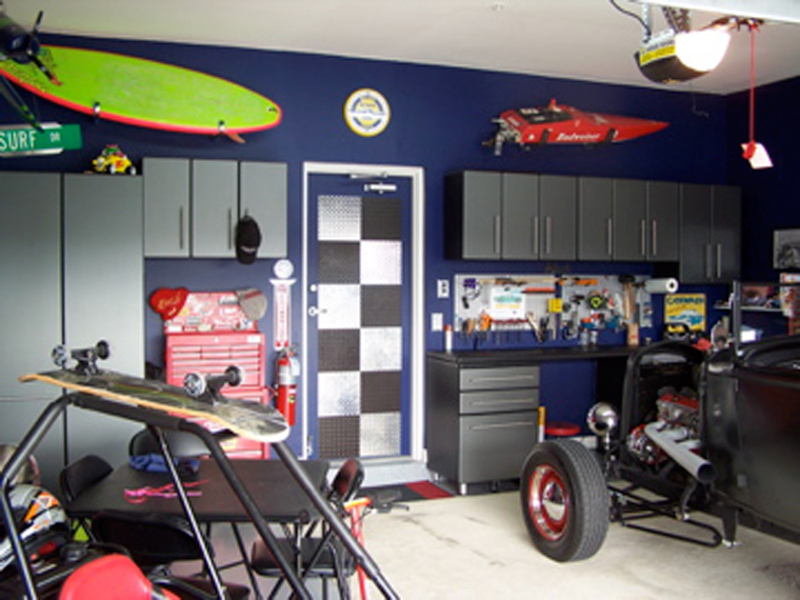 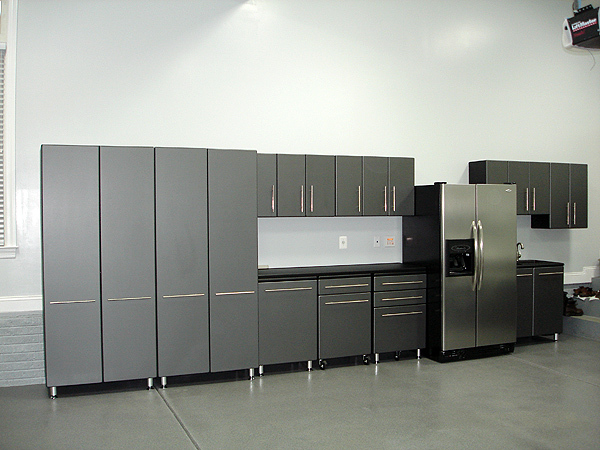 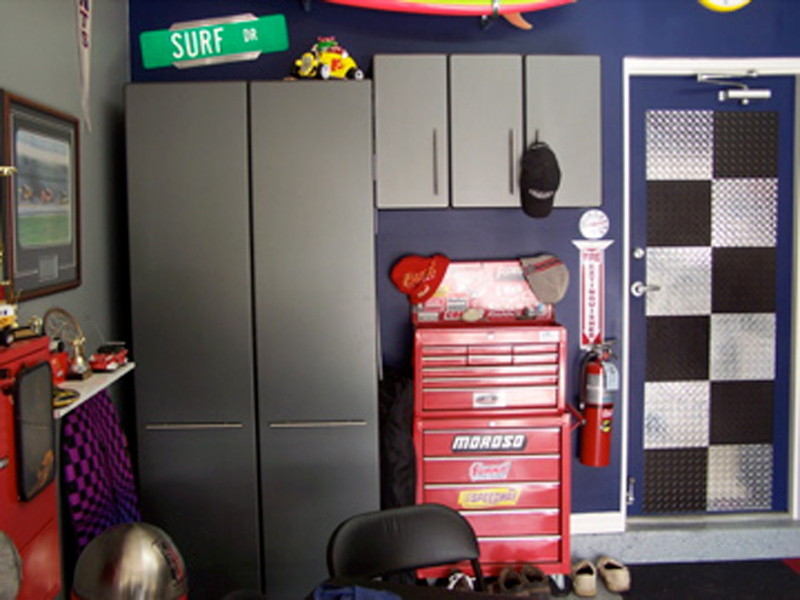 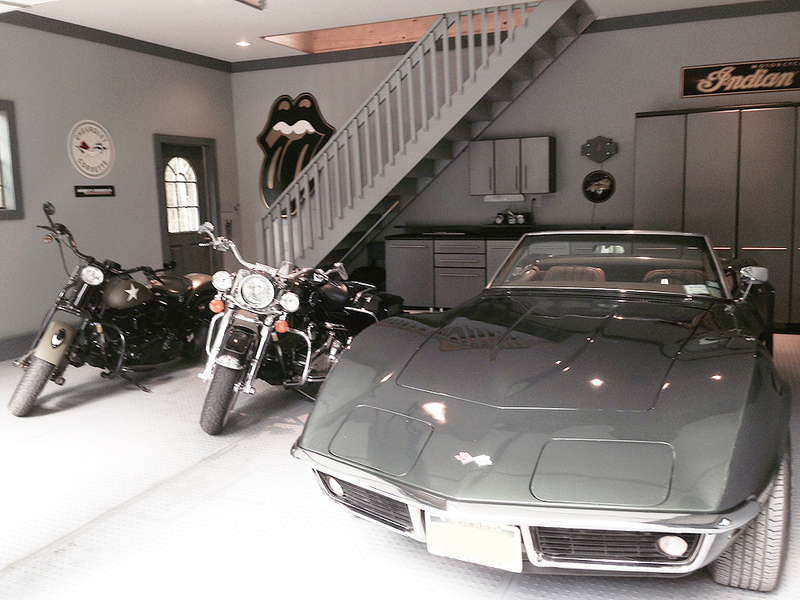 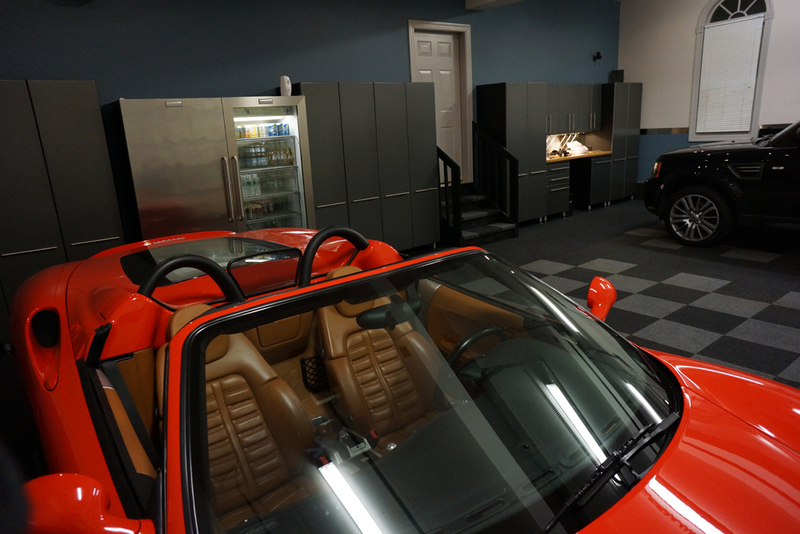 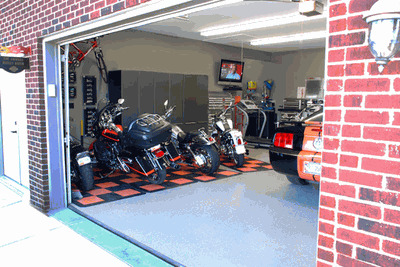 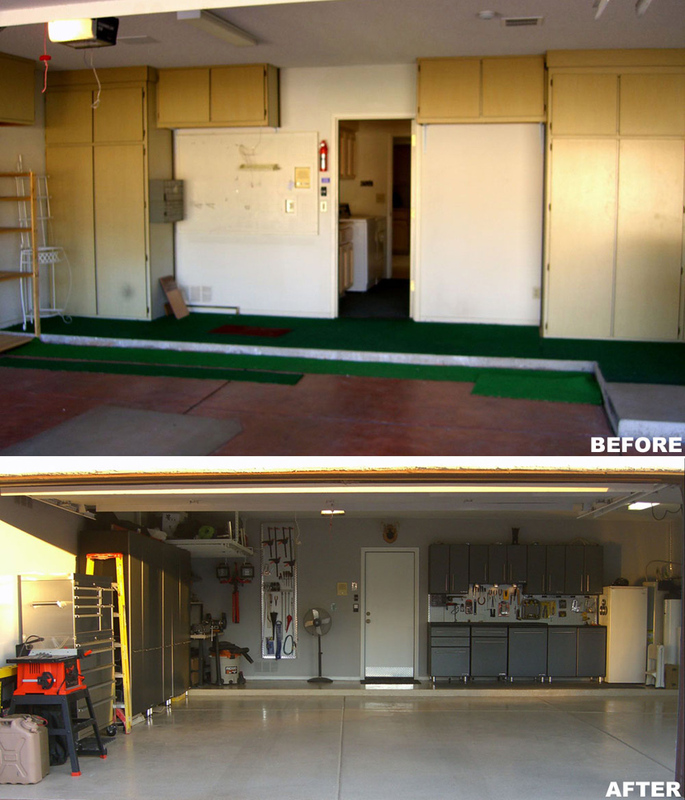 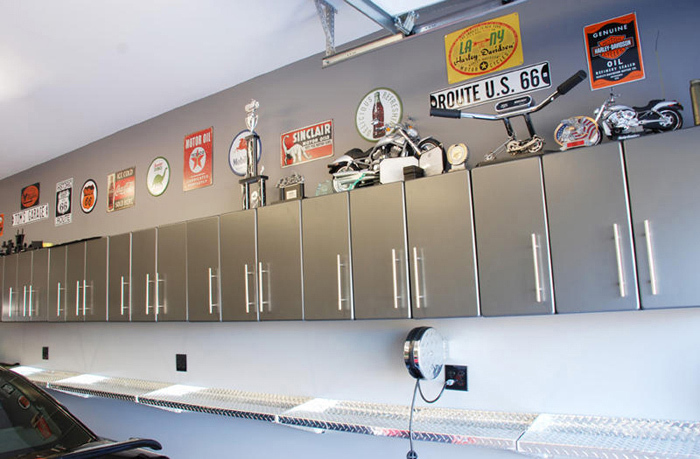 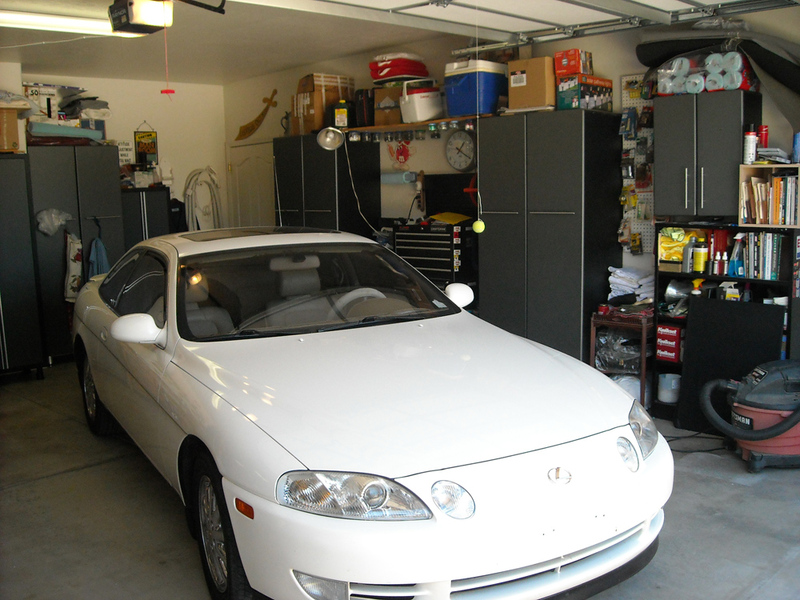 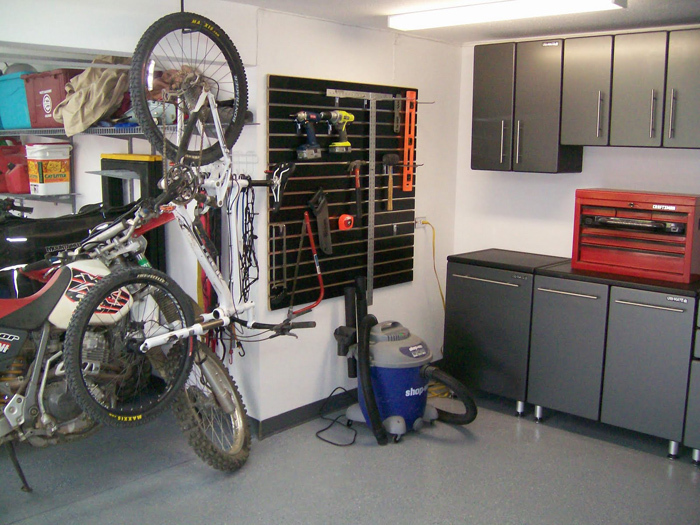 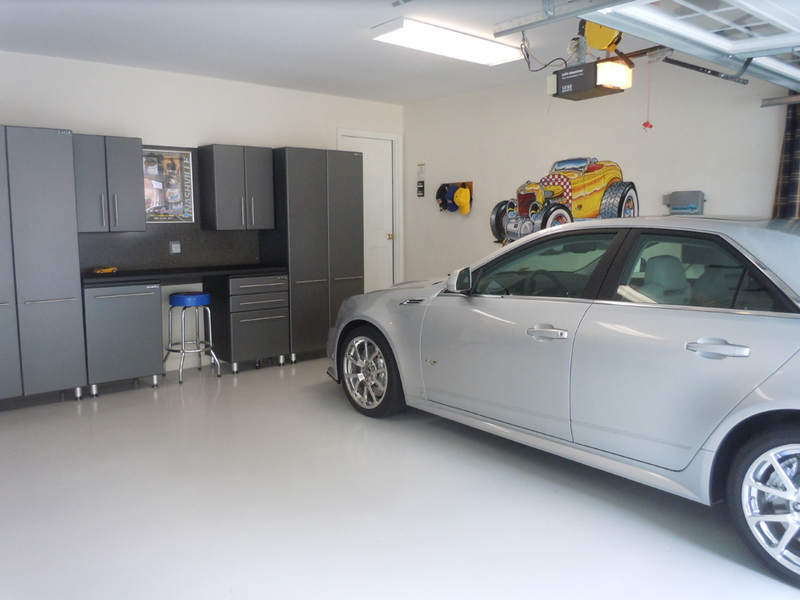 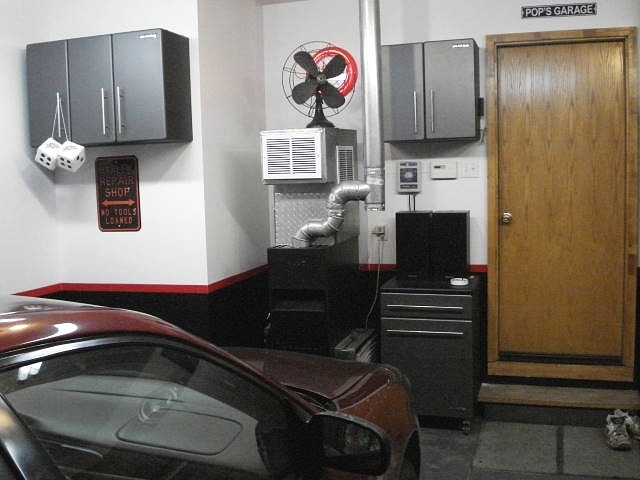 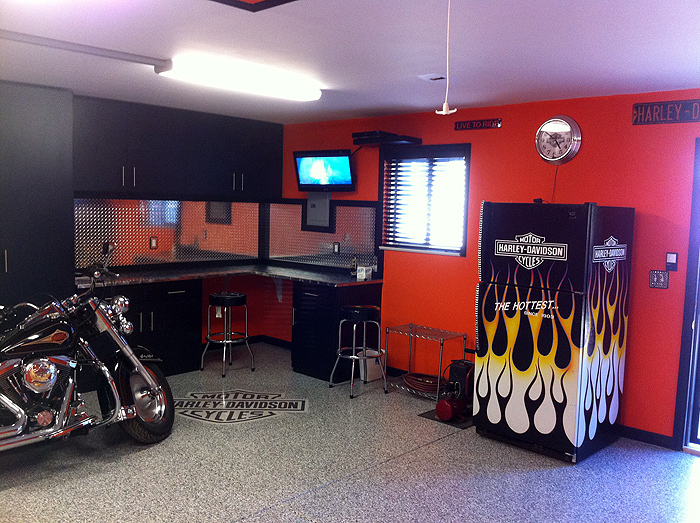 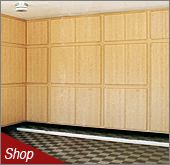 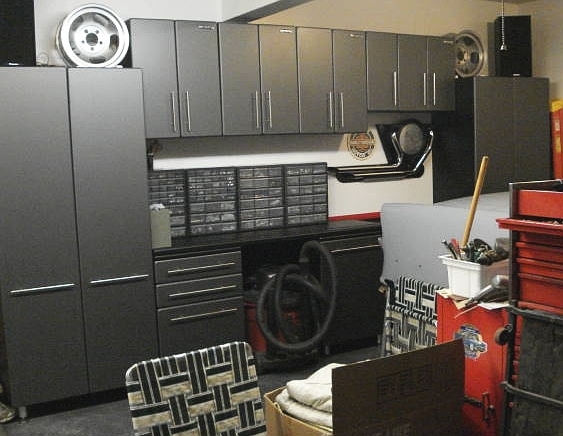 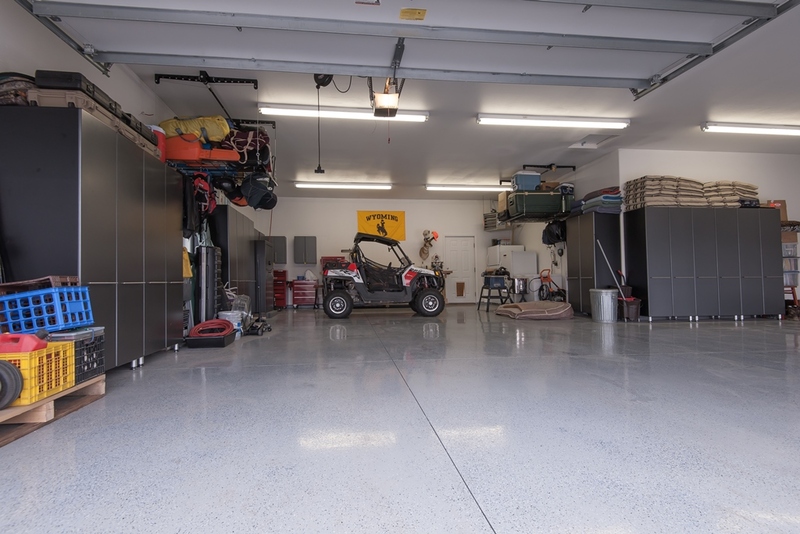 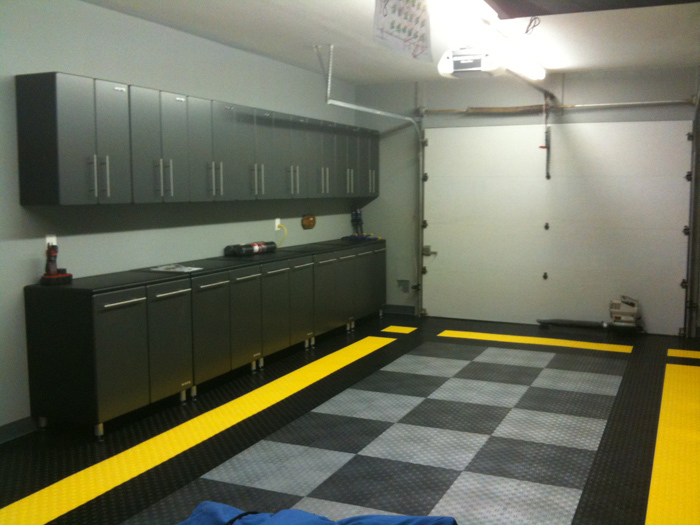 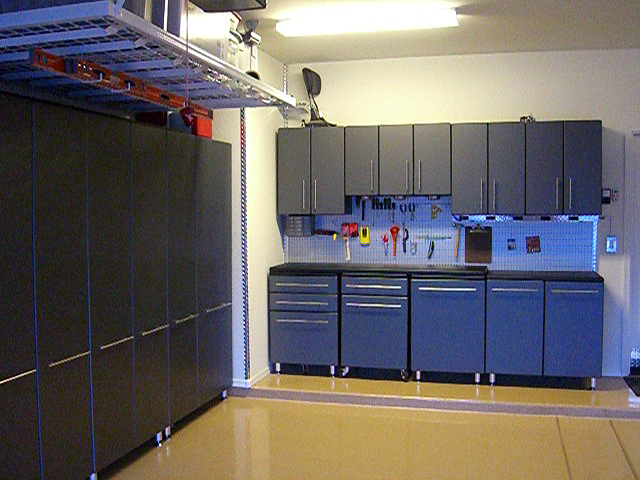 Garage cabinets with the ultimate in durability, style and function for the largest room in the house, UltiMATE Garage storage cabinets. 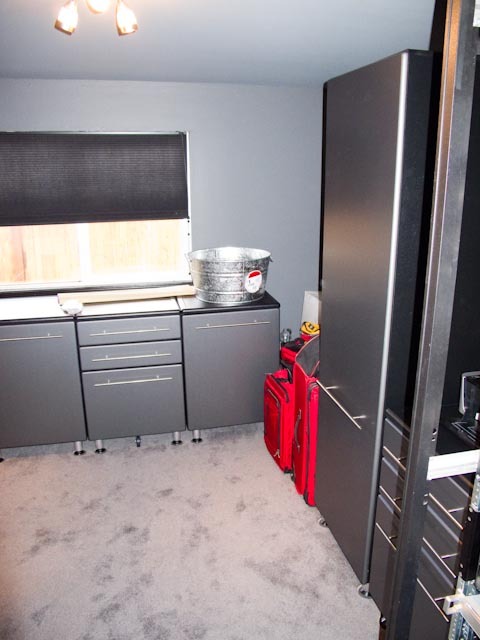 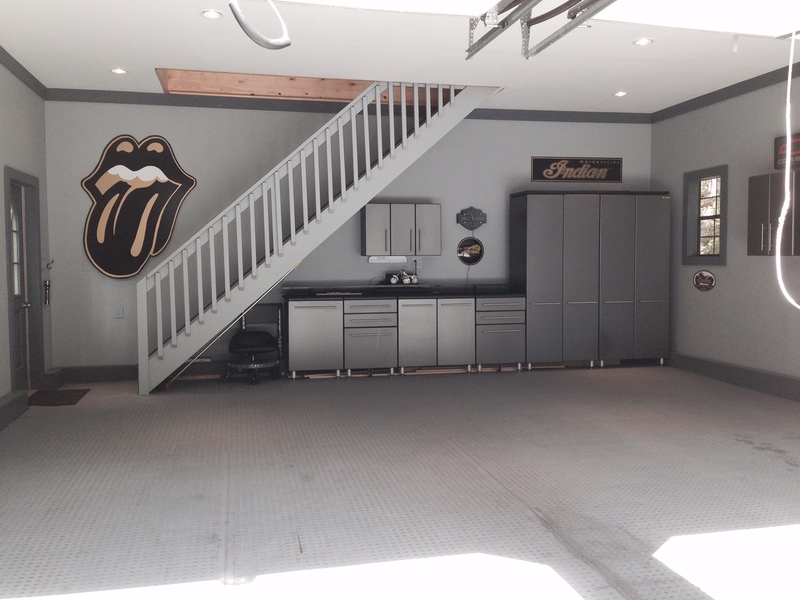 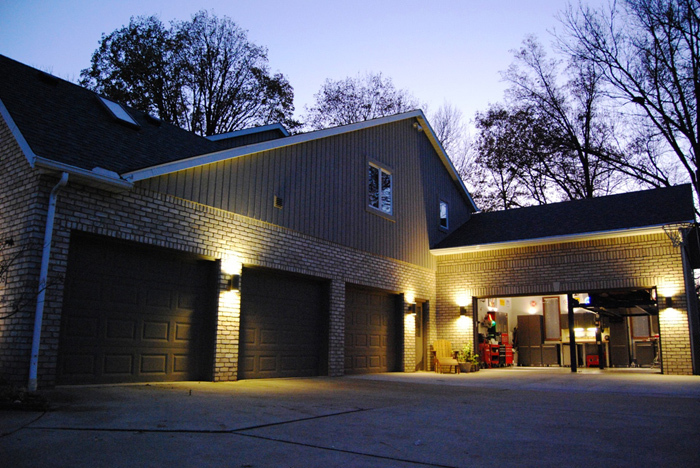 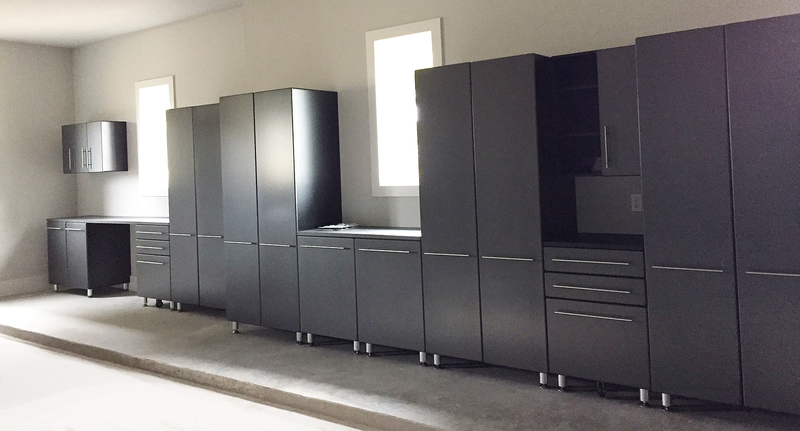 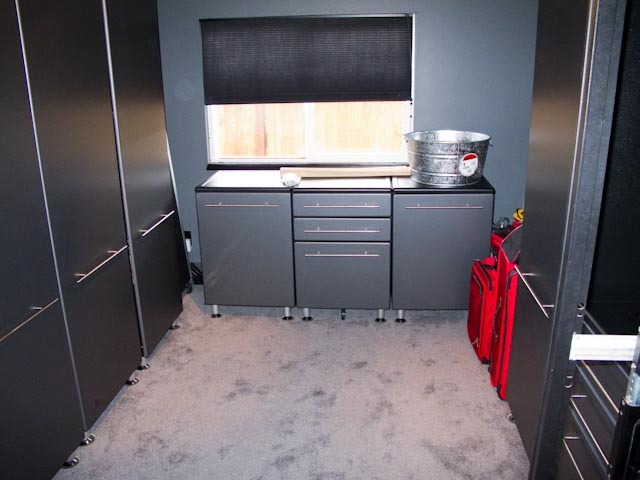 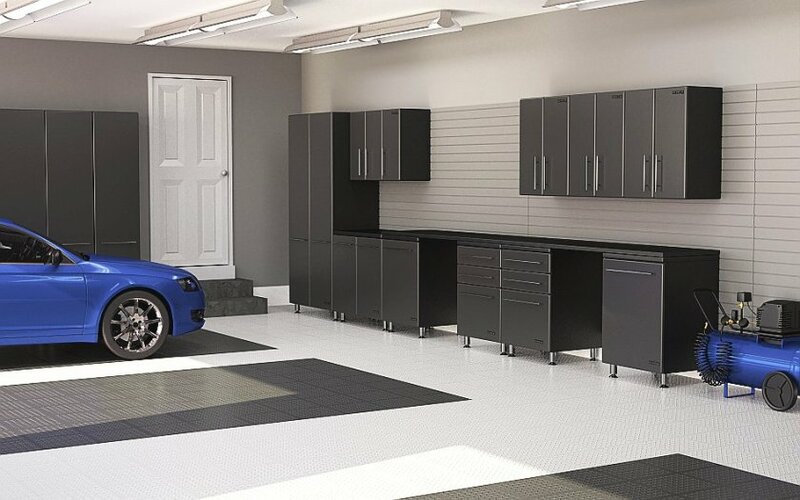 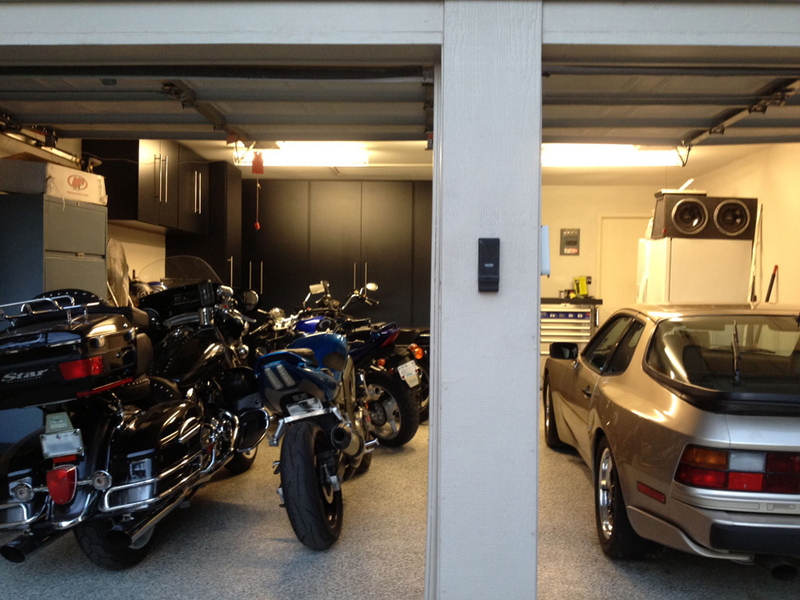 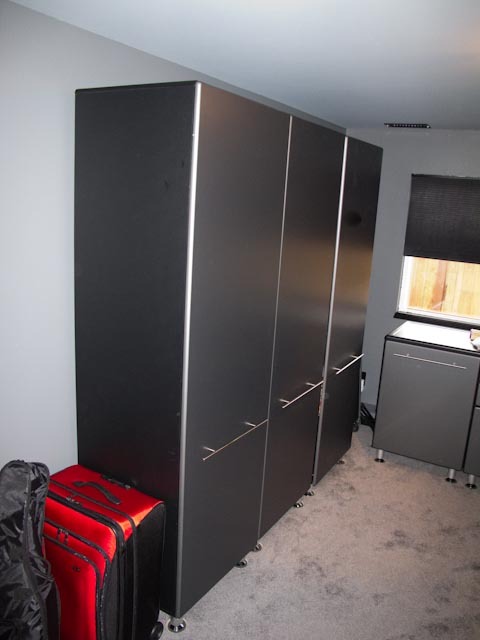 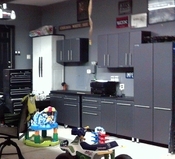 This state of the art modular storage system was developed to add style, sophistication and strength through modern design to transform your old garage into a functional room of your house; a place to entertain family and friends, work and not have the anxiety of leaving your garage door open a room you'll be proud to show-off. 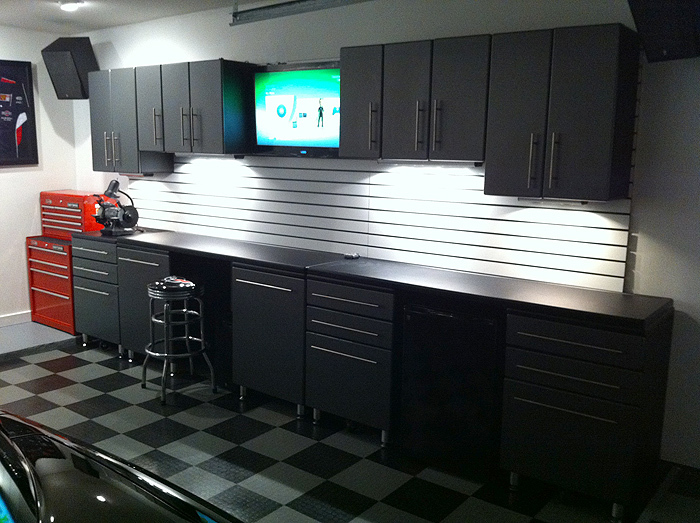 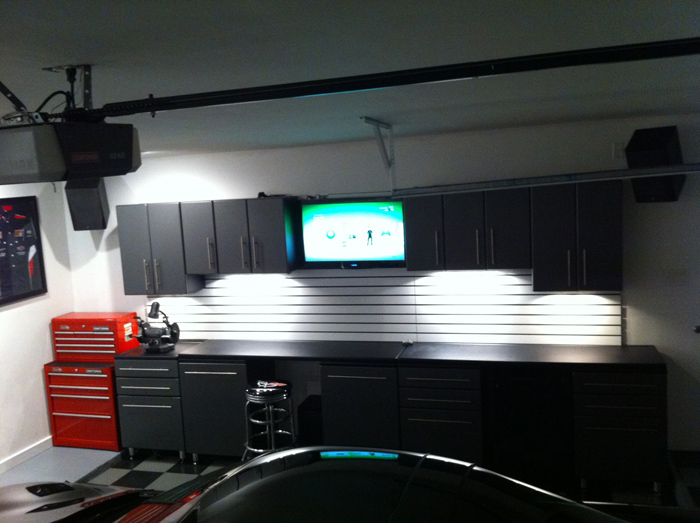 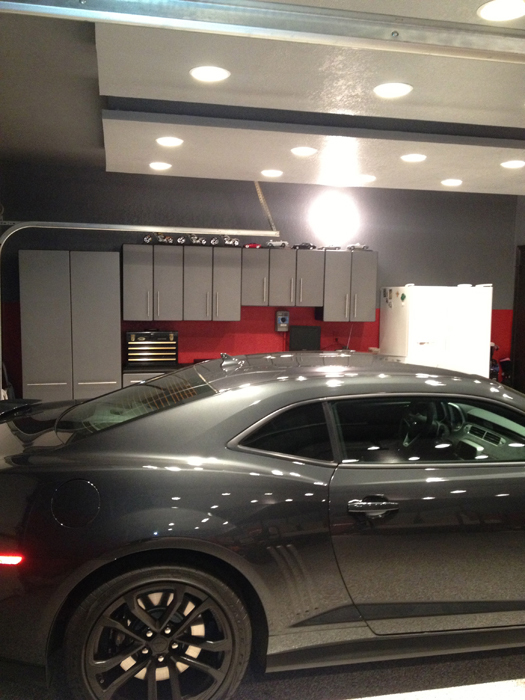 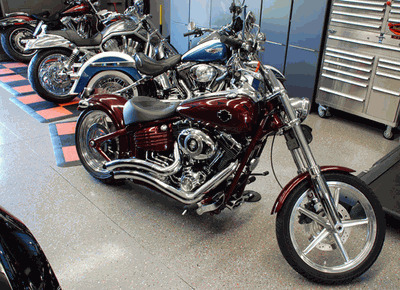 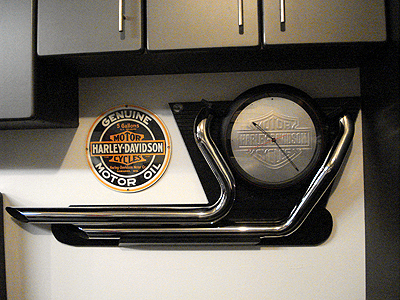 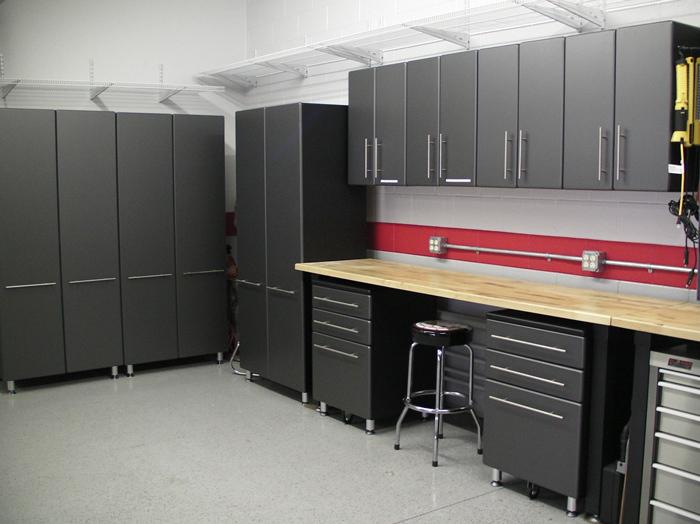 This UltiMATE Garage line offers strong 3/4" PVC thermofused laminate cabinets with unique polyurethane coated cabinet fronts for added durability and smooth automotive finish, radius profile on all doors and cabinets for a clean custom look, adjustable 4" Aluminum feet, adjustable European hinges, oversized 12mm brushed zinc handles/pulls which double as a shop towel holder, and integrated PVC laminate work top surface.